One of the biggest challenges facing industry is corrosion. It eats away at trillions of dollars every year, up to 3-4% of gross national product in developed countries. Metal is the backbone of so many industries, from oil and gas to construction, and it is of vital importance that it maintains its strength and effectiveness. FBE coating (fusion bonded epoxy, fusion bonded epoxy powder coating) is a one-part, thermosetting powder coating that provides optimum corrosion protection in all environments – petrochemicals, gases, corrosive substances, saltwater, freshwater, wastewater, and more meet their match in FBE coating. In this article we outline the many superior protective properties of fusion bonded epoxy coating and how the coating is used across industry. We also list the local specialists in FBE coating application and manufacture in Australia. FBE coating is specified in a range of industries and applications, especially in the oil, gas, and water pipeline industries. In Australia, it is used for the internal lining of desalination plants, to protect tanks, as well as on gas transmission pipelines, including the Kipper Gas Pipeline off the eastern Victorian coast. Onshore, offshore, undershore, FBE coatings are a part of the landscape. 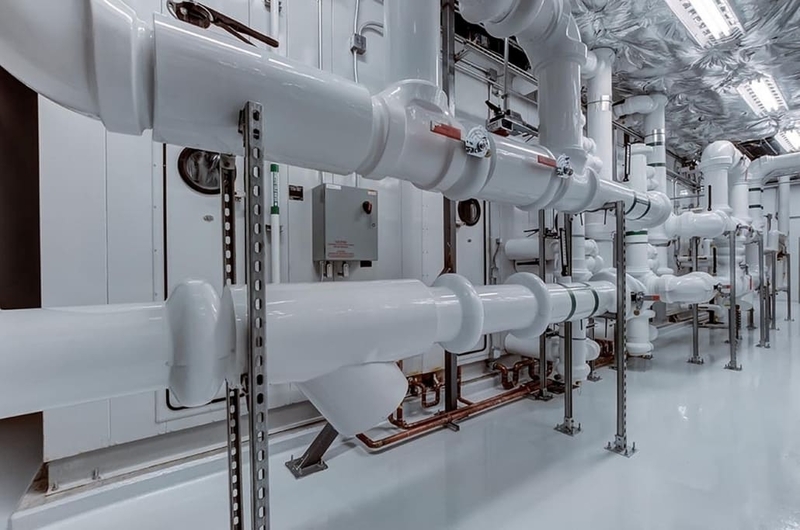 Worldwide there are tens of thousands of kilometres of pipelines use FBE coating, as do uncounted valves, pumps, water fittings, cooling pipework, and tubing systems, not to mention all the fusion bonded epoxy coated rebar used in construction. The International Standard for Buried or Submerged Pipelines (ISO 21809-2&3), the NACE Standard Recommended Practice, Application, Performance, and Quality Control of Plant-Applied, Fusion Bonded Epoxy External Pipe Coating (NACE RP0394), Australian Standard for External Fusion-bonded Epoxy Coating for Steel Pipes (AS 3862). The Standard Specification for Epoxy-Coated Steel Reinforcing Bars (ASTM A775 / A775M – 17), the NACE Standard Recommended Practice Epoxy-Coated Steel Reinforcing Bars (NACE RP0395). The Australian Standard for Thermal-Bonded Polymeric Coatings on Valves and Fittings for Water Industry Purposes (AS4158:2003). The top producers and manufacturers of fusion bonded epoxy coating in the world are AkzoNobel, Jotun, Valspar, BASF, Axalta, 3M, and Sherwin-Williams. In Australia, Dulux Powder and Industrial Coatings also produces a fusion bonded epoxy called Armourspray. Below we have compiled a sample list of fusion bonded epoxy coating applicators operating in Australia.